What will happen next? I still look for further content and people that will support me with proof reading. The content I have already in my mind, but each chapter will need some graphics and a third party to check the grammar. Sometimes a logical proof reading is necessary as well. The target of mine is that people with skills in electronic will be able to design their own IoT M2M devices without to run in trouble in common mistakes I have seen in the last 15 years. 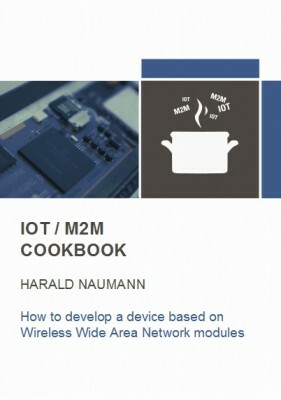 Please respond with invoice for M2M IoT cookbook. Hi Greg, you will find a proforma invoice in your email inbox. You can pay by PayPal or by wire to my bank account. PayPal gives you the freedom to use your credit card as well. As soon the money is on my bank account or Paypal you will get the final invoice plus password for download of the book. Thanks in advance for yor order.